We currently use our own transport for local deliveries. Also a national and international courier as required. WANTED: Self-employed distributor for the North of England. Contact David for details. 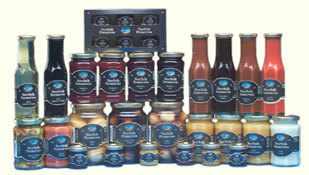 Norfolk Preserves is a manufacturer of a wide range of high quality products ideal to be sold for customer consumption or as gifts. The entire range of 40 products are attractively packaged and look impressive as a retail range. The low production batch size means that the shelf life is significantly longer than high street brands.